The Dynafor LLX2 is a major innovation in industrial dynamometry, providing the highest degree of ergonomics, precision, reliability, flexibility and endurance. The LLX2 sensor unit with its unique design measures the force; this is the system's body. 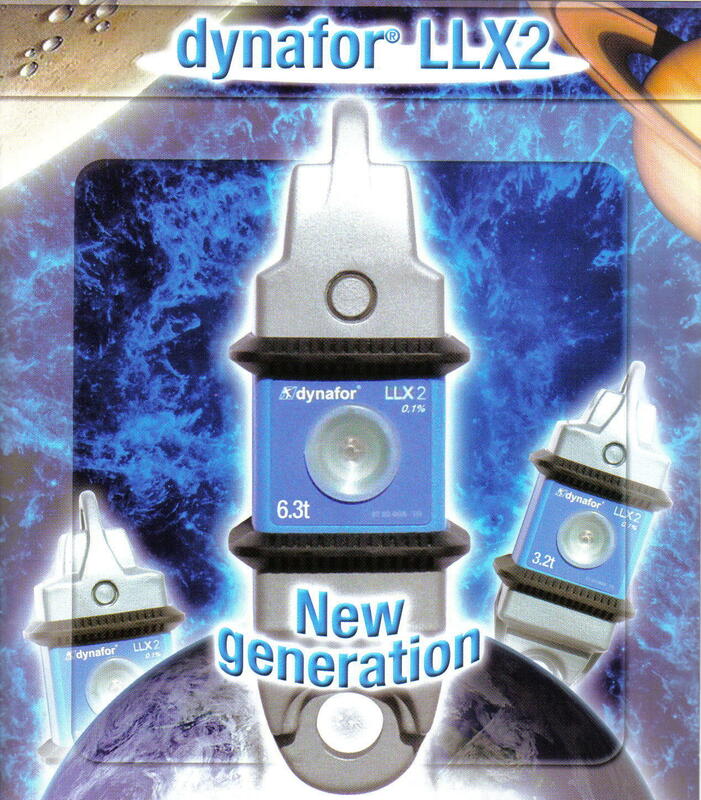 An extended range: The Dynafor LLX2 comes in seven capacities: 0.5 t, 1 t, 2 t, 3.2 t, 5 t, 6.3 t and 10t. A removable display: The LLX2 display attaches securely to the sensor unit or can be held in your hand for nomad or remote utilization. 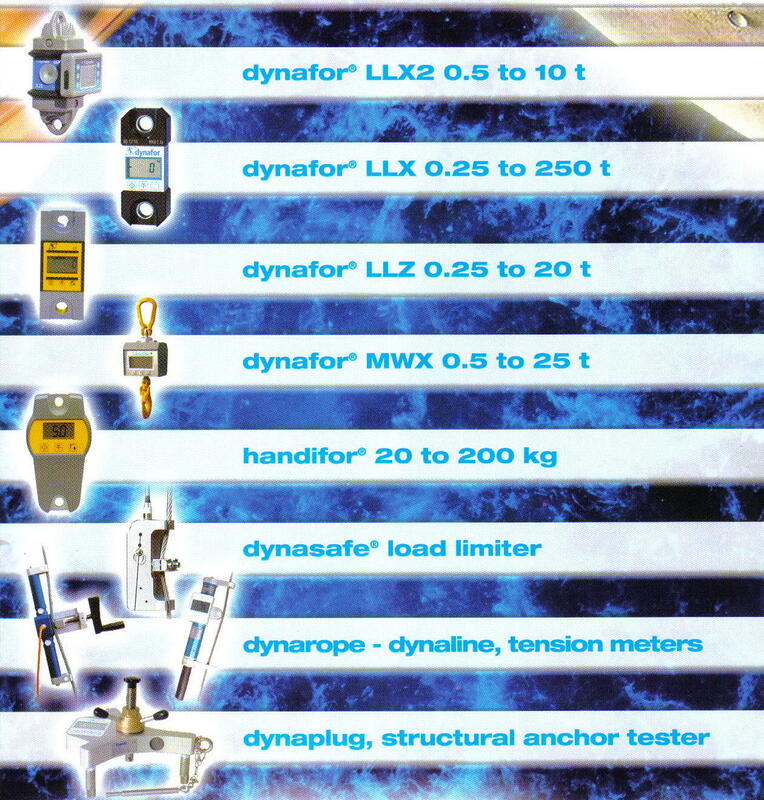 A range of fastening accessories: Dynafor's patented system for Shackle and Chain compatibility makes the Dynafor LLX2 "heads" directly compatible with the traditional shackles and with accessories for all standard chains currently on the market. Crossed fastening planes: The two axes of the sensor are crossed, enabling movements of lifting accessories on both sides, thus avoiding stresses due to load movements and enhancing appliance precision (coplanar version available on request). Resistant to shocks and weather: The Dynafor LLX2 sensor can be used indoors and outdoors with its excellent shock and moisture resistance, complying with protection index IP66. High precision: The Dynafor LLX2 ensures a precision of 0.1%: the market reference. A wireless link with range of 260 ft.: With its 2.4 GHz frequency band, the Dynafor LLX2 provides a high operating range (260 ft.) and can be used simultaneously in an environment with no risk of interference where a numbe of different devices are operating. Radio technology enhances performance. High endurance: 300 to 1000 hours depending on functions, and 3000 hours of standby. Display: 48 hours in use. Intuitive commands: Use and access to the various functions are fast and easy. Interchangeable displays: The Dynafor LLX2 uses a single display ensuring high utilization flexibility. Several sensors and displays can be associated: 1 to 4 sensors can be associated to 1 to 4 displays. PC link: The connection kit option (PC/Dynafor LLX2 by USB) allows advanced processing of the measurement data.